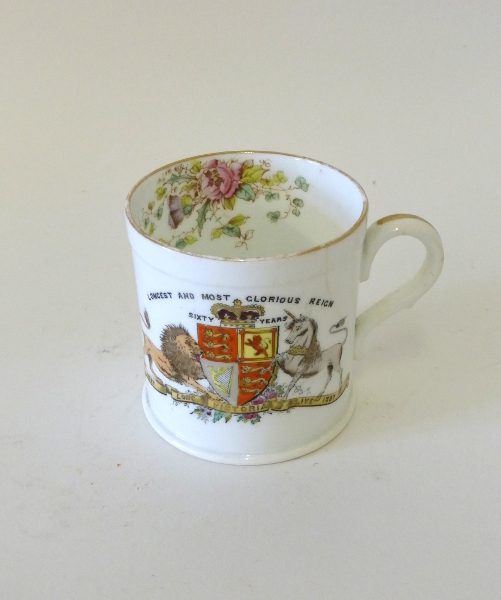 1897 China Mug commemorating Queen Victoria 60 years of glorious reign. It came from Low Tren House Farm, Malham Moor, from a family called Chester, my ancestors. I have chosen it because it is pretty, delicate and historically important.